Online shopping for New TOSHIBA Replacement Laptop AC Power Adapter, high quality and cheap TOSHIBA Laptop AC Adapters, Laptop Charger. How to Choose the Correct TOSHIBA Laptop AC Adapter? The first thing to consider for the laptop adapter is the voltage. The easiest way to check this is to turn your original TOSHIBA laptop adapter over and see if there is a voltage listed anywhere on the bottom of the TOSHIBA machine. A sticker may be affixed with this information and other similar TOSHIBA laptop specs listed. It should be a number with a V attached to it, such as 18.5V, 19V, 20V and so on. This information is also available on the original adapter, if it is available. Once these two issues have been settled, the other important step is simply to make sure the connection fits the port in your computer where it is to be plugged in. The voltage and output current of the laptop adapter will not matter if it is not able to be connected. 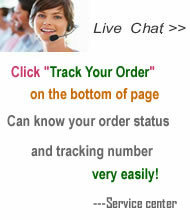 If ordering online or if you do not have your TOSHIBA computer, it is advisable to check this out as soon as possible. New and high quality TOSHIBA Laptop AC Power Adapter for your TOSHIBA laptop computer.